I was trying to avoid the sequel thing for your weekly Streaming Pick. There are some bland movies polluting the streaming services. I turned back to Marvel’s Netflix Universe. 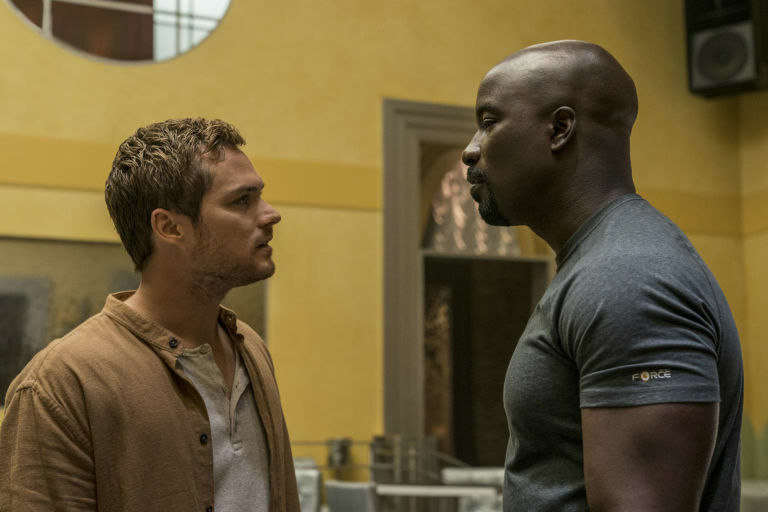 Recent seasons were becoming bland, (Defenders) or even bad, (Iron Fist) Luke Cage season 2 is a nice return to form. Luke Cage Season 2 picks up after the events of the first season. The show follows the crime world in Harlem and the one man turned reluctant hero trying to keep a handle on it all. 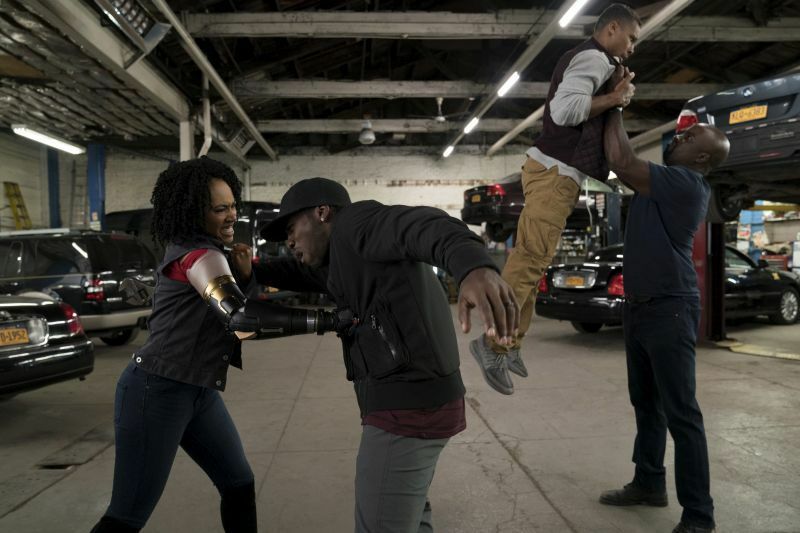 Misty Knight (Simone Missick) is back and still specializes in scene stealing. Despite her massive injuries Misty tries to pick up the pieces of her career. She’s haunted by the larger than life events going on around her. She also has to live in the aftermath of finding out her long term partner was crooked. She struggles against her system to keep doing what she knows is right. Misty’s quest to do what is right is inline with Luke’s own. Luke’s level of celebrity is his undoing until he starts to use it to his benefit. He sees this as a heroic move. A move for the benefit of Harlem. Those around him have other thoughts on it. The unexpected turn kept the season feeling fresh. It could have been a run of the mill continuation, except for a few plot points to shake up the norm. The first season of Luke Cage was good but bloated. Marvel Netflix’s main problem is the 13 episode order. The first four hours of season one could’ve been condensed into a single episode. Because the world is already established Luke Cage season 2 has a much better flow. With a lot of characters and a lot of plot points the 13 episodes didn’t feel quite as long. Dropping a couple still would’ve helped the series. It also helps to not force yourself to ‘binge’ the entire series straight away. Let it sink in and enjoy it. The quality is there. The charisma is there. Thanks to Coulter and Missick, the charm is there. Fan favorite Mahershala Ali’s absence leaves a void in the villain front. Alfre Woodard’s Mariah Dillard picks up some of the slack along with her sort-of-partner-sort-of-puppet Shades (Theo Rossi). The Woodard and Shades dynamic is interesting for the first half of the season. It’s pivotal down the line. The middle meanders and sags. The new big bad for Cage to go toe to toe with is infinitely better than Diamondback and his power pajamas. 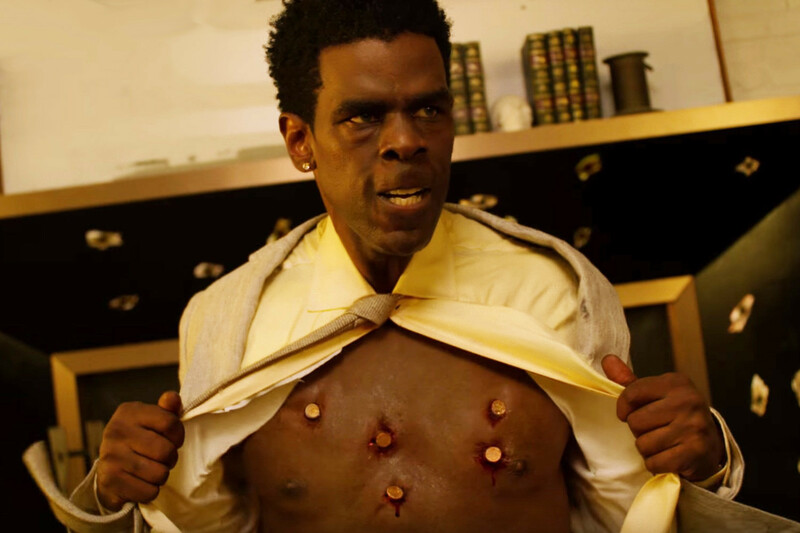 Bushmaster (Mustafa Shakir) has excellent screen presence. His mission is easily understood even if his methods always aren’t. Shakir brings a lot of weight to his role. His character is intense. Sadly, Bushmaster falls into a familiar flaw for Marvel villains. He’s a xerox of Cage. Bushmaster’s abilities aren’t exactly the same and have their own origin but it boils down to about the same thing. The real issue with Bushmaster is in his relationship to Cage. The two don’t really need to fight. Bushmaster’s beef is with Mariah. Cage’s beef is with Mariah. I get that Cage doesn’t want anymore outside influences coming into Harlem but “the enemy of my enemy…” and all that. It felt like Bushmaster and Cage started fighting at first because someone in production deemed one the good guy and one the bad guy. There has been rumors that Rosario Dawson will no longer be a part of the Marvel Netflix Universe. Dawson is a powerhouse of an actress. She always needed a bigger role as Claire Templeton, aka The Night Nurse. Claire was the glue of the first season round of the Netflix shows. She was never given powers but held her own among the heroes. The rumors of her leaving seem to be true. Her strong and determined character is demoted to ‘heroes girlfriend’ before she vanishes. She isn’t even given a proper send off. A few flaws aside Luke Cage Season 2 is a lot of fun. The cast is great. The pacing is improved over Season 1. The action scenes are turned up a notch. The creators managed to keep the action interesting even though we know Cage can’t be hurt. It’s sort of the Superman problem but Marvel is actually pulling it off. Even a little cameo by Marvel’s most hated character didn’t bring down the season!